“Don Newton ragnacked last night. Closed the garage door and turned the car on. I can’t believe it.” Ken stood in the sunny kitchen, telephone still in his hand, forgotten in the moment. As if he had to ask. Everyone knew what the world was coming to, and even when. The mother of all asteroids, estimated by scientists to be six times bigger than the one that killed off the dinosaurs. The astronomers called it Asher-Lev 14, but some joker had nicknamed it Ragnarök, and the name stuck. Within days, the name spawned its own vocabulary. Rag off: run away from your spouse with a new lover or old flame. Ragnabber: person who ransacked and looted to get things he or she had always wanted. Ragnack: take your ending into your own hands. “I don’t get it. Three weeks to live, why kill yourself now?” Ken stared at the phone, which had started beeping, and slammed down the receiver. Ken tried to smile, but couldn’t. “Yeah, maybe it is.” He knew it wasn’t, and she probably did as well, but why push the issue? There were plenty of doubters, or had been when the news first broke on the internet. A couple of Chilean astronomers blogged about the asteroid, and nobody would have paid any attention if not for the U.S. government’s ham-handed efforts to deny the rumors. By the third Presidential press conference in a week denying the reports and expressing simultaneous complete confidence in the U.S. military, everybody knew. By the time the President admitted the truth, the internet was overflowing with evidence. Somebody even set up a live astro-webcam at the Mt. Hamilton observatory in California. Watch your doom approach in real time! To read the rest of Ragnarök, visit Smashwords at http://www.smashwords.com/books/view/81721 or wait a day or two and it will be up on Amazon and B&N. 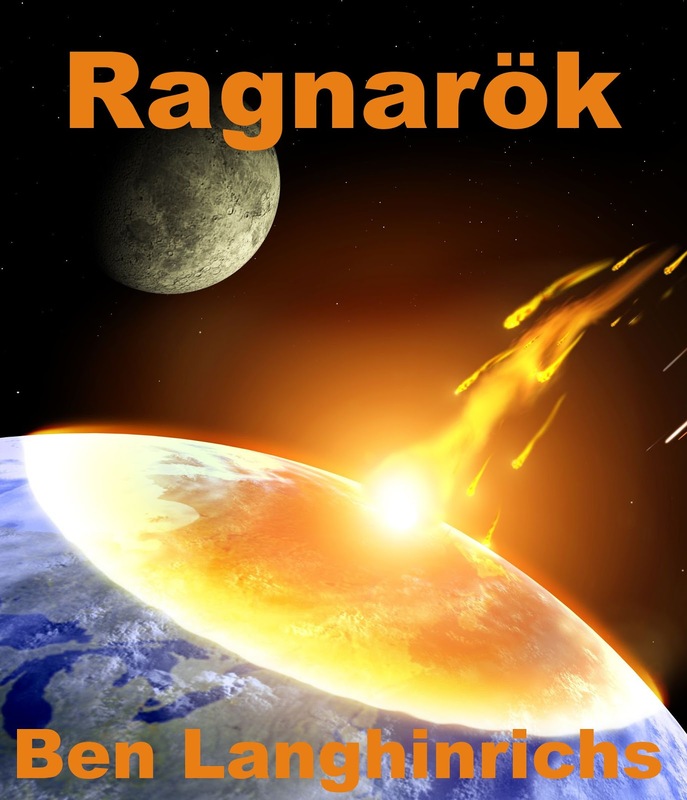 Only $0.99, Ragnarök celebrates the ability of the human spirit to transcend the ultimate catastrophe.